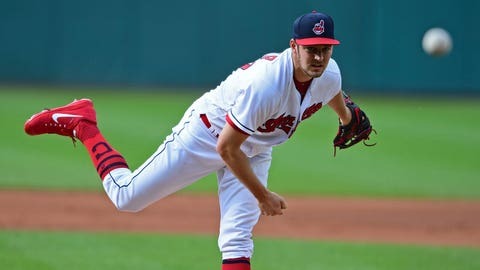 CLEVELAND (AP) — Trevor Bauer struck out 11 over 6 1/3 innings to beat Detroit for the fourth time this season, leading the Cleveland Indians past the Tigers 4-1 on Saturday night for their sixth straight win overall. Bauer (7-5) allowed a run in the second inning on a wild pitch and was pulled after Dixon Machado’s one-out single in the seventh. The right-hander recorded his seventh double-figure strikeout game of the season, including five of his last six starts. He’s 4-0 with a 1.23 ERA in four starts against the Tigers. Indians: RHP Adam Plutko (3-1, 5.40) will make his fifth career start for the Indians.